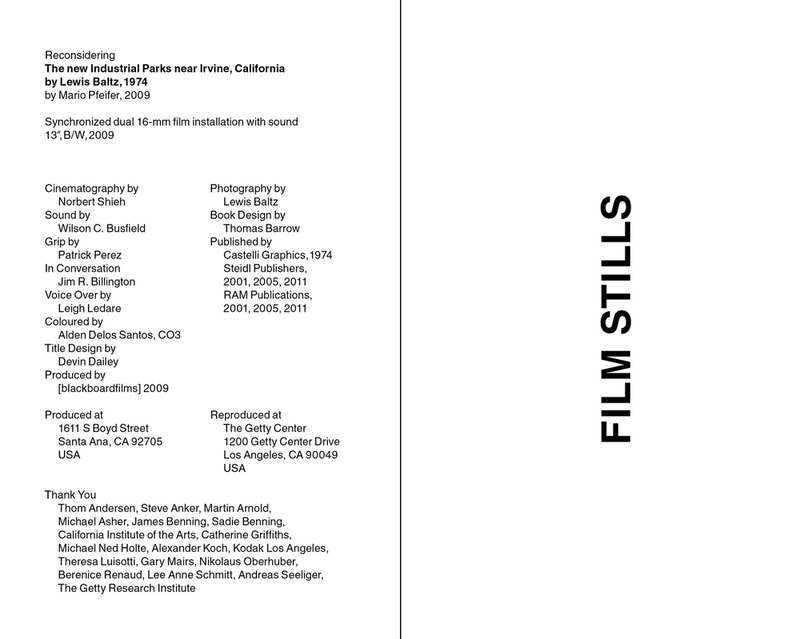 The book discusses Mario Pfeifer’s recent 16mm film installation Reconsidering The new Industrial Parks near Irvine, California by Lewis Baltz, 1974. 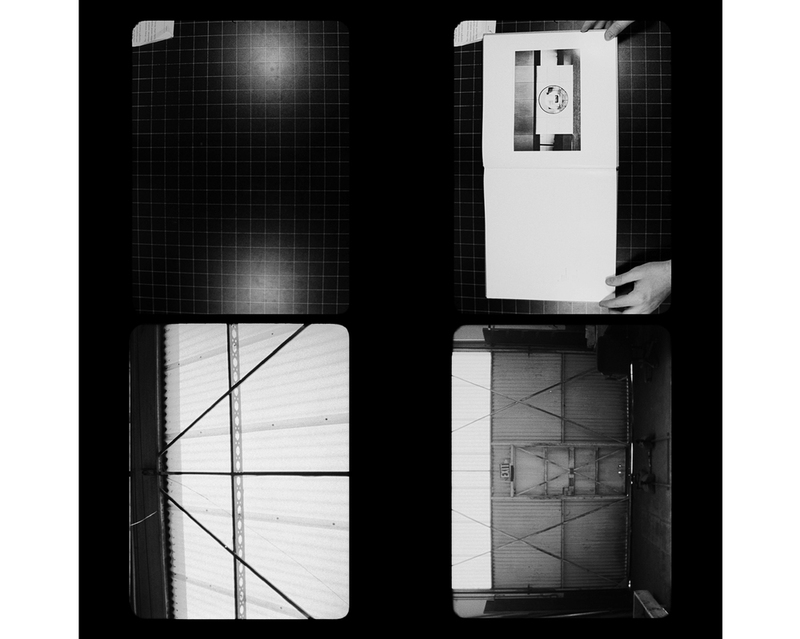 This installation, consisting of two synchronized, looped, and parallel projected films, takes its point of departure from the first monograph of Baltz’s work, published by Castelli Graphics, New York in 1974. Over the last four decades, Lewis Baltz has continuously produced highquality photographic books. This publication functions as a critical reader, reevaluating “New Topographics” as representations of landscapes. Looking at Pfeifer’s installation, which re-visits a Baltz’s photographic site, Vanessa Joan Müller negotiates the terms realism / reality and the way Pfeifer discovers the mis-representation of a modern industrial building in Irvine’s Industrial Park in 2009. Martin Hochleitner contextualizes Pfeifer’s film installation within the context of the original “New Topographics” exhibitions (1975), which, since 2009, are being shown throughout the United States and Europe. In addition, this publication consists of film stills, production stills, and a rare interview by Mario Pfeifer with Lewis Baltz. 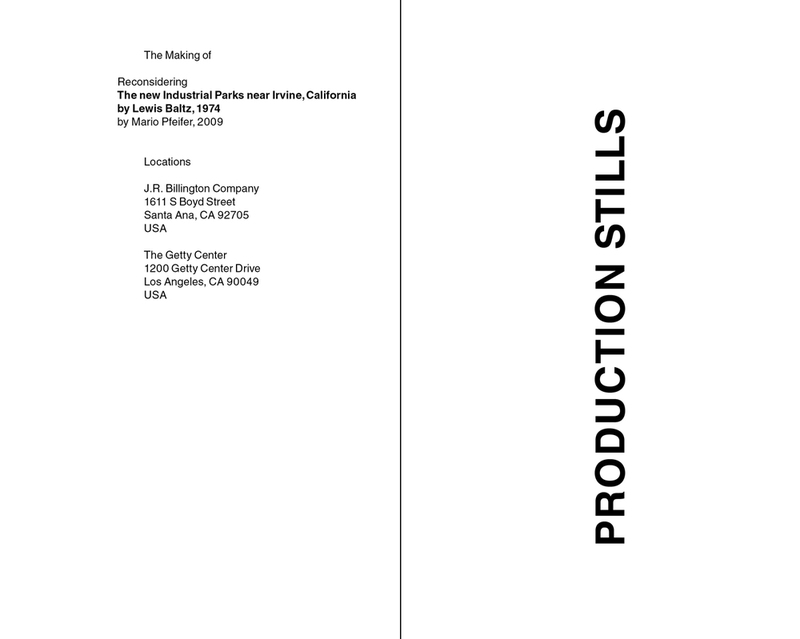 It was published on the occasion of Mario Pfeifer’s contribution for the “New Topographics” exhibitions at Los Angeles County Museum of Art and Landesgalerie Linz in 2010.